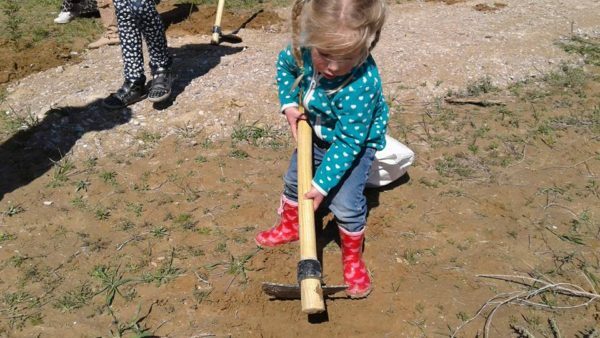 During the week of Tu B’Shvat, Arab and Jewish families from all over the Negev came together to plant seeds of hope at Project Wadi Attir—a response to recent violence in Um al-Hiran, where both a Bedouin citizen and a police officer was killed. 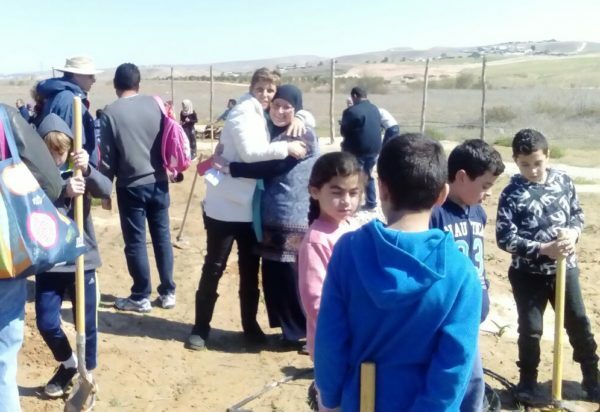 The planting day was a joint initiative of the project’s own Ghadir Hani, founding member of Project Wadi Attir, and Pnina Doba of Kibbutz Lahav and regional coordinator of Women Wage Peace in the South (pictured below, in an embrace). 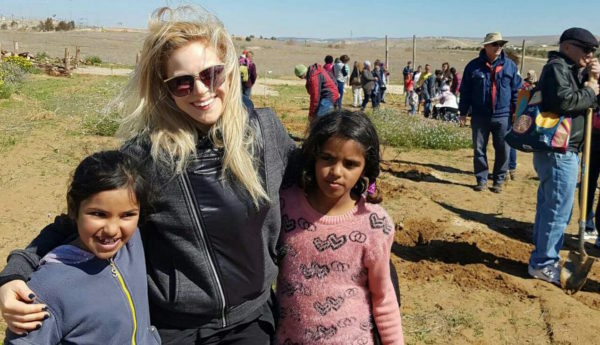 Mais, the daughter of Amal Abu-Saad from Umm al-Hiran, touched everyone when she read a poem expressing her pain and the her family’s suffering following the death of her uncle and the head of the family, Yakub Elkian, and the destruction of their home. 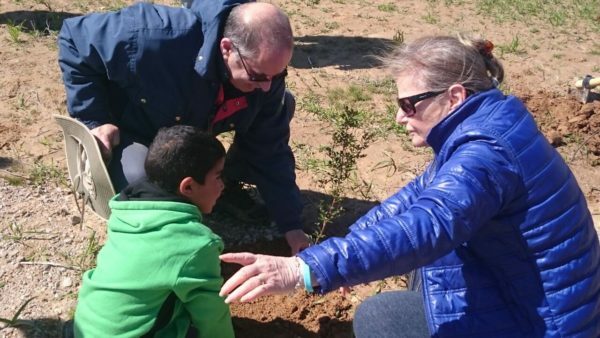 Afterwards we went on a guided tour and then planted 40 seedlings of fig and mastic trees, with a Jewish and an Arab family near each seedling.